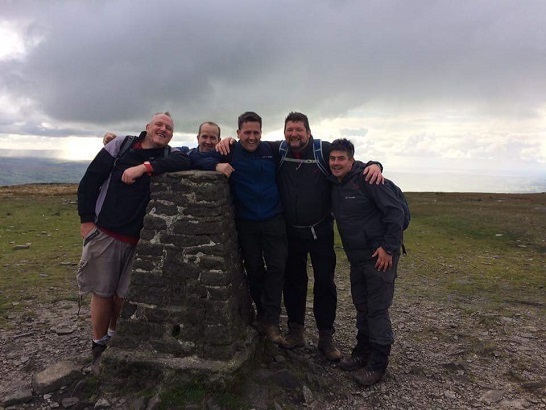 You are here: Home News & Blog Team Airedale complete Yorkshire 3 Peaks Challenge for charity! 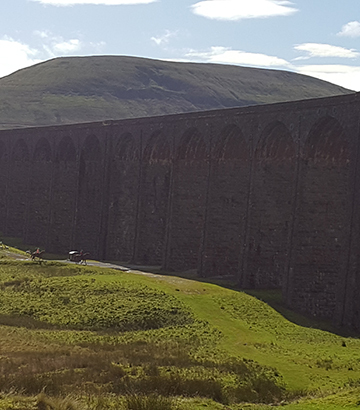 Team Airedale complete Yorkshire 3 Peaks Challenge for charity! On Saturday 16th September 2017 an intrepid team from The Airedale Group and an accomplice from the Leeds office of Aviva set off in the early morning to tackle the 24 miles Yorkshire Three Peaks Challenge, to raise money for Martin House Hospice in Boston Spa, West Yorkshire. Every year The Airedale Group actively promotes local charities and community events, raising over £5,000 in 2016 alone from a variety of events including Tough Mudder, York Races and the annual Coffee Morning. Martin House Hospice is particularly close to our hearts at Airedale as a son of a team member from our Caterform manufacturing division attends the hospice for rest-bite care. In addition Hospices rely almost solely on charitable donations. 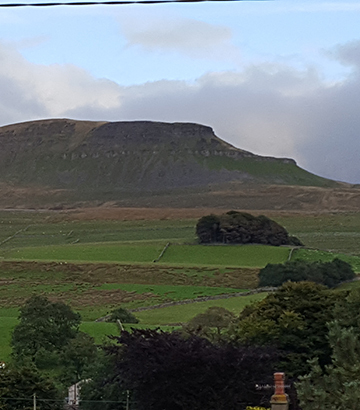 With Martin House Hospice at the forefront of all of the team members’ minds, the Yorkshire Three Peaks Challenge, which takes in Pen-Y-Ghent, Whernside and Ingleborough, including a combined 1,585 metres of ascent, was conquered in 11 hours, seven minutes, comfortably within the 12 hour deadline. Fortunately the Yorkshire weather was fair and the beautiful vistas more than made up for the aching joints all of the team experienced for most of the week after. The team also raised over £1k for Martin House Hospice, beating our pre-Challenge target. The Yorkshire Three Peaks Challenge is likely to become an annual event so look out for future posts on our News/Blog. If you would like to donate to Martin House Hospice, please visit our team members’ JustGiving page.